The this end table offers a cosmopolitan look that can be used in many different settings and styles. 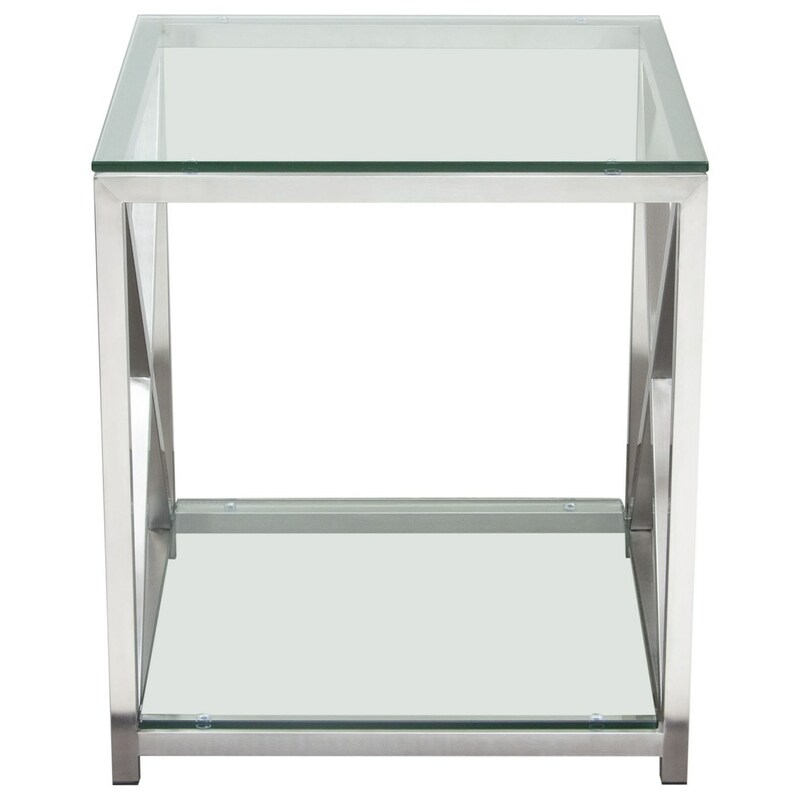 With its brushed stainless steel frame and "X" accents on each end, it provides a clean and airy base for the clear tempered glass top and shelf. Ample surface and display area with an open feel. Versatile enough for any room's decor and stylishly designed to stand the test of time. The X-Factor End Table by Diamond Sofa at Red Knot in the Oahu, Honolulu, Kapolei, Pearlridge, Salt Lake, Hawaii area. Product availability may vary. Contact us for the most current availability on this product. XFACTORETFR Table Base 1 21" 21" 24"
XFACTORETGL Glass Top/Shelf 1 21" 21" 1"
Browse other items in the X-Factor collection from Red Knot in the Oahu, Honolulu, Kapolei, Pearlridge, Salt Lake, Hawaii area.